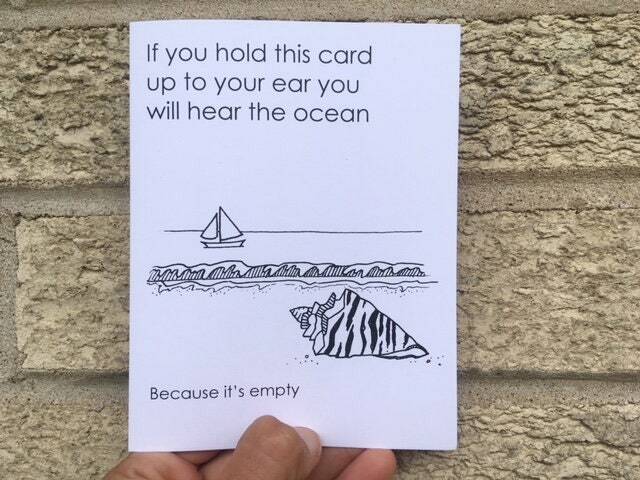 "If you hold this card up to your ear, you can hear the ocean....because it's empty." 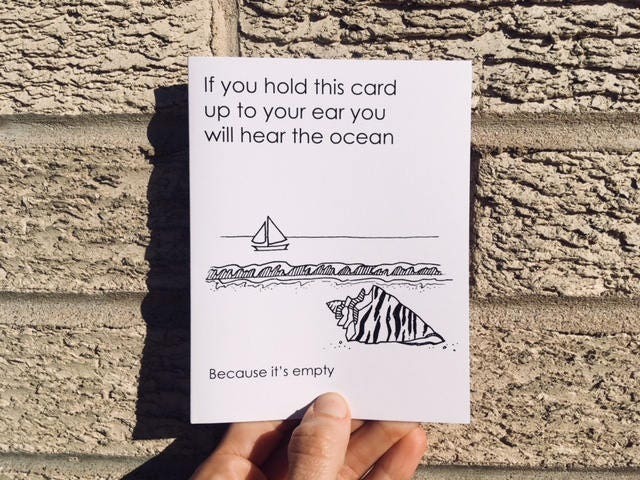 Blank A2 card comes with a coordinating envelope and protective cello sleeve. It will ship via USPS First Class Mail in a cardboard mailer. Please convo for wholesale inquiries.